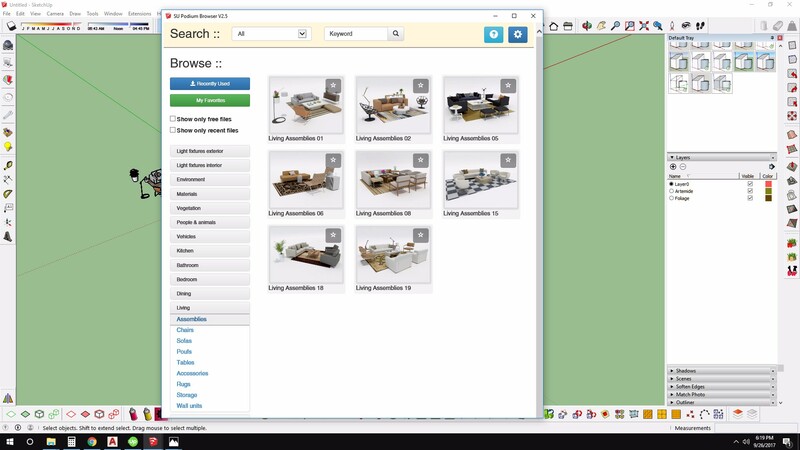 Have just purchased the full licence and paid browser content however I am having issues with loading models/objects from the browser to the model space in sketchup. the dialogue (see attached image) shows every time i select a model. This is a new issue that has just popped up over the past couple days--we're looking into it, but not sure exactly what the cause is at this point. Right now we're just asking people to go back into the Podium Browser options menu and simply save the license key again. Assuming you've entered the number correctly this has worked every time so far. Hope that works for you, sorry for the inconvenience. I have tried re-entering the serial number by copying it from the activation email, however the error still occurs. If you don't mind humoring me can you try the following? 1. Enter Serial number (You've done this already, I know). Click Save. 2. Try to download an object. 3. After the first time it will most likely throw the error message. 4. Open the options dialog. Click save again without doing anything else. (Don't re-enter the serial, just click save. 5. 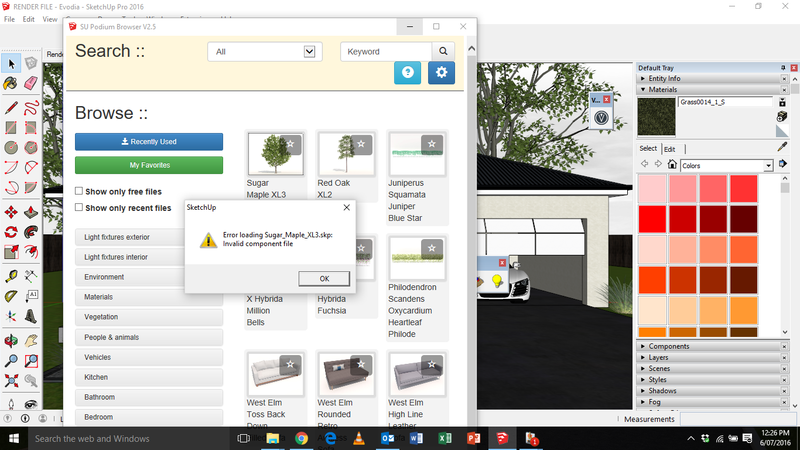 Check again and see if objects will download. If that doesn't work, your best bet is to send an email to support@cadalog-inc.com, and they'll work with you until it's working. Perfect! Thanks mate, tis all working. Not savvy with that kind of gig, but maybe it's the hyphens in the serial number when copying it that activates the error message. Only reason i suspect that is because when you open the options again to save (without doing anything else) the hyphens in the code have disappeared and as a result it works. My Podium Browser number is in there. I can download anything. I cannot save any favourites nor any settings. !? I think this is a Safari cache issue. We started to have issues with the latest Browser version. Then when I do it and hit save I am told I am already registered...(which I am)... I'm not using Safari. I'm on Chrome. Yes, we are looking into this. Thanks! Yes, we discovered a bug that was causing some of these to export slowly and in some cases the textures were getting scrambled at render time. I'll check the status of this one and DM you shortly.